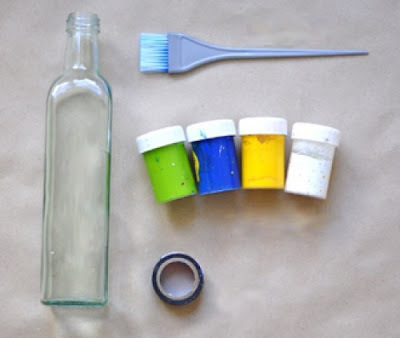 Here is a nice DIY project to make a beautiful vase from a glass bottle. 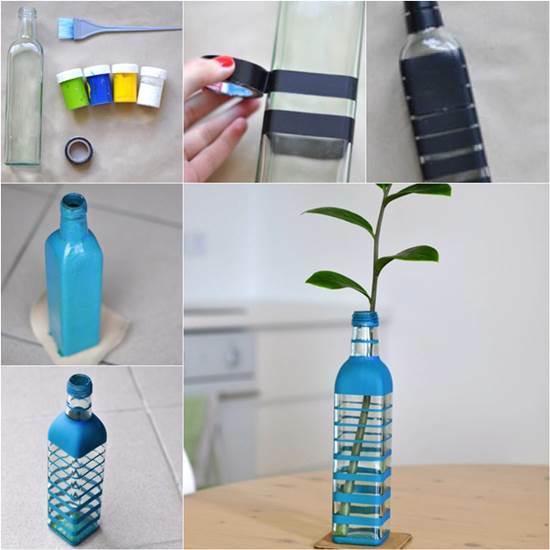 You can see that it’s really simple to make a fancy flower vase out of something that we are going to discard. The flower vase looks so pretty and its unique pattern makes it stand out for decoration. 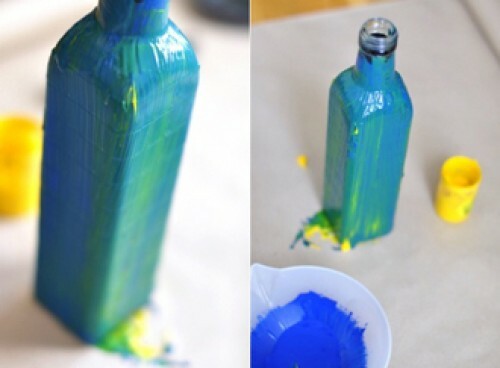 Take this idea further and you may create your own design of the pattern on the vase with tape and paint. You can also use your favorite colors to paint the bottle. Happy crafting! 1. 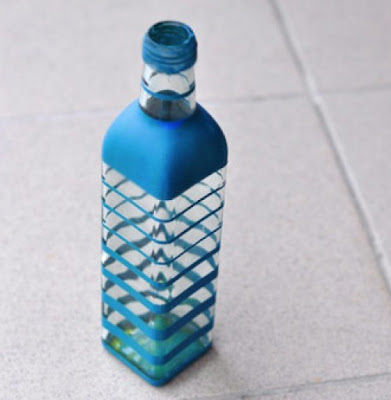 Rinse and dry the glass bottle. Get all the supplies ready. 2. 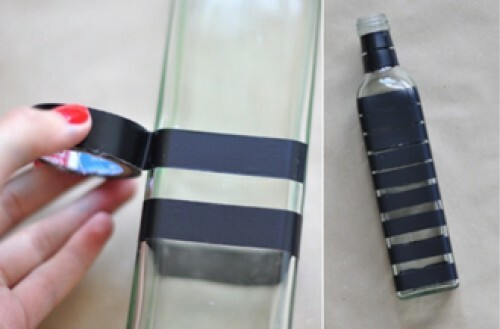 Tape around the glass bottle in a way that the gap between the tapes becomes smaller and smaller from the bottom to the bottle neck. 3. Use a paint brush to apply the yellow acrylic paint on the bottle and let it dry. Repeat the same steps to apply green and blue paint. 4. 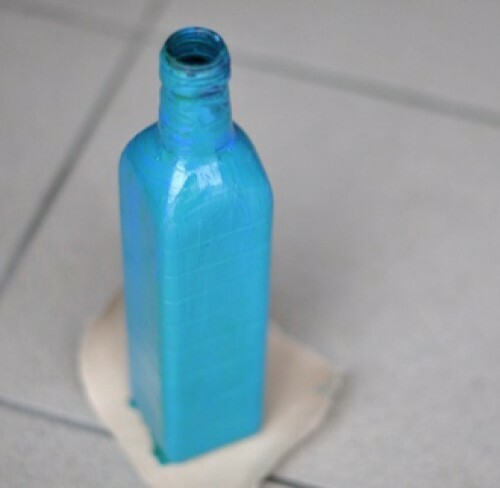 Remove the tapes and this unique flower vase is ready! 5. 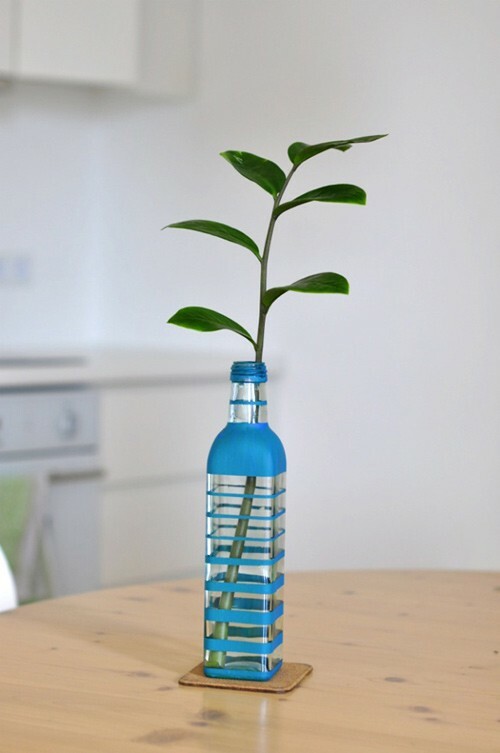 Place a fresh plant or flower in the vase and enjoy!